It's time to put this debate to an end. While most of us pronounce 'Nike' with a hard 'E' at the end, there are people out there that think that 'Nike' rhymes with 'bike.' That may seem strange to those of us used to hearing it one way, but when you think about it, why wouldn't it rhyme with 'bike?' You're just replacing the first consonant, so there seems to be a good argument for that alternate pronunciation. 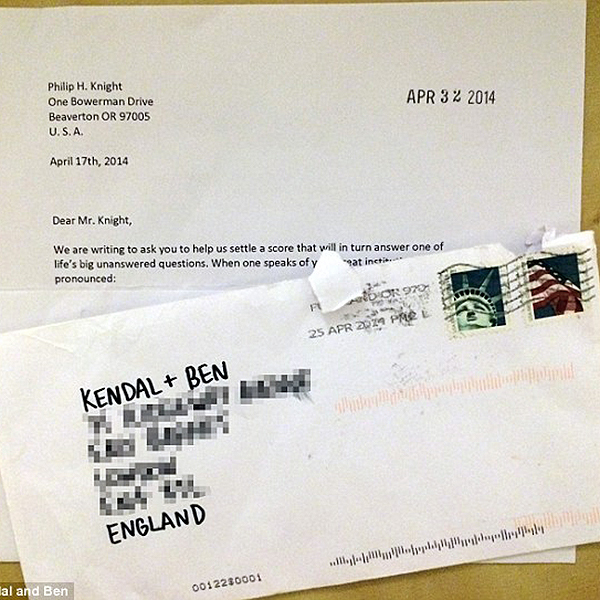 Recently, two British students sent a letter Knight, in effort to settle an argument. And with a simple drawing of a circle, the answer was given. 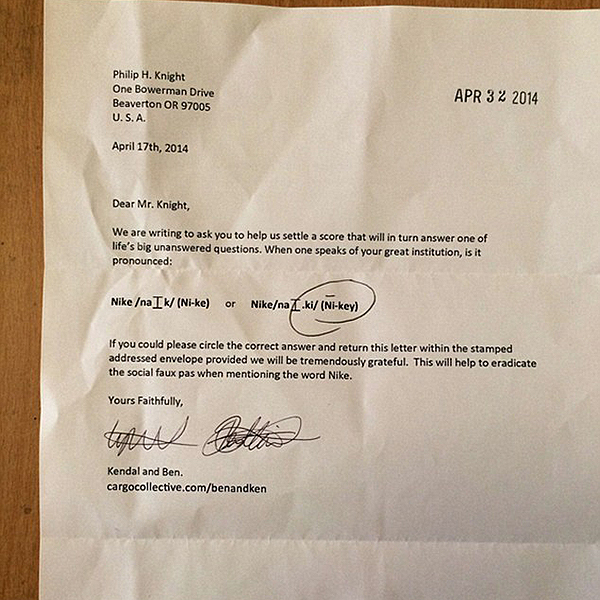 Check out shots of the letter below, and let us know your thoughts. Do you know anyone that pronounces it the 'wrong' way? Do you say it that way yourself?